Coolers can be difficult to carry, even the smaller ones. What if you didn’t have to carry one around any longer? How great would that be? Well, you don’t have to, thanks to best backpack coolers out there. You can put one on and no longer have to worry about your arms getting tired or sore from lugging around a heavy cooler. to-middle . . . . . Whether you are out hiking or biking, you will find the Polar Bear Cooler Backpack will fit almost all of your needs. This backpack cooler comes in at a size of 18 x 12 x 7 inches, with reported ice retention rates of 24 hours (from the manufacturer). This cooler is also sweat proof and leak proof, which means you won’t have to worry about it as you wear it. One user reported using it on several camping trips to keep his alcohol cold. Though the user mentioned it was a bit tricky, he was able to fit a case of cans in the cooler and did say it was a bit heavy which is to be expected with that much contained in it. Another user noted the leak proof capabilities, saying that they used it as a “washing machine” on a trip, filling it up with soap and water and clothes, then wearing it around for an hour, then draining and rinsing. 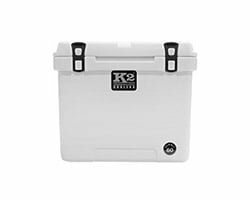 This cooler comes in at 16 x 17 x 11 inches (available on Amazon), contains MaxCold insulation featuring 25% more foam to keep contents colder for longer periods of time and is leak resistant. 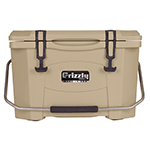 One user reported using this cooler for a wide variety of uses such as transporting frozen and refrigerated items from the store to home, on camping trips and even fishing. The user reported keeping block ice for two days. Another user reported the same, saying ice stayed frozen for 48 hours. While there are many who enjoy the ice retention times, there were some who reported problems with the zippers and stitching on the handles. 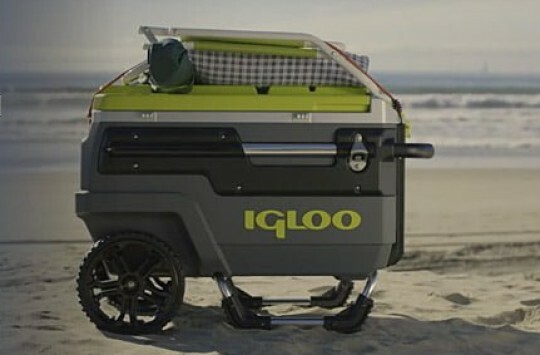 However, one user stated that Igloo has good warranties and replaced it without a problem. This stylish backpack will actually leave people wondering if it’s a cooler or an actual backpack. It comes in a variety of colors like black, red, beige, lime and blue. At a full capacity of 20 cans, you will be able to fit quite a bit. The manufacturer stated that optimally you could fit 16 cans with room for ice packs. At a size of 19 x 8 x 11 inches you’ll have more than enough room. Many users have applauded the ability to fit many different items in the different pockets and compartments besides cold drinks and food. One user was able to fit ipods, wallets, phones and discs for disc golf. Another user was able to fit headphones, books and a kindle. While yet another was able to add in dry snacks, in addition to frozen water bottles and 8 sandwiches. Do you want something a bit sportier with drawstrings and open mesh pockets to give you easy access to items? If so, you may want to consider the OAGear Cooler Sports Pack. This backpack cooler holds 20 cans with ice packs and comes in at 12.25 x 16.5 x 7.75 inches. Padded straps also make this backpack easier to put on and more comfortable to wear during transport. 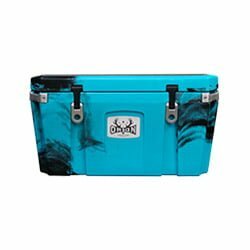 One user liked the distribution of weight and versatility of use with this cooler. The user reported first traveling and using it as a laptop bag as the backpack does come with a laptop sleeve. Upon arriving at their destination, the user filled it up with 14 individual waters and sodas, as well as other snacks. The distribution of weight made it comfortable to wear, which was an early concern. 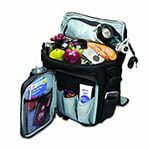 Other users have also mentioned using this best backpack cooler as an alternative to a lunch bag or for short trips to the park or other outings. Do you want a cooler backpack with hidden pockets, a flat zippered interior pocket and even an individual outer pocket for one bottle? If you need a cooler backpack that can double as an actual backpack, then you may want to give the Turismo a try. At a size of 12 x 7 x 17 inches, you’ll be able to fit your lunch, drinks and other items that you may want to carry, and perhaps even conceal such as a passport or important documents. One user stated that this was indeed a replacement for his cooler and backpack. The user said they did not want a bag that would just be basic, as they wanted something that would fit all of their needs. The user said it does and has, carrying things like food, chargers, extra clothes and even a radio. Will you need to pack more than just food and drinks? What if you need to pack something that needs to be concealed so it won’t be stolen, like a passport? If you do, then you’ll need something a bit more varied, perhaps something like the Turismo above, or even the Zuma. 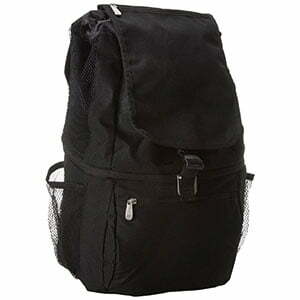 Take into consideration what your needs are besides packing food and drink items, before buying your backpack cooler. You or someone you know will be the one wearing this around, so think about where you’ll be taking it. Will you need to have it on you for hours or days at a time? Will you need to take a lot of items in the cooler? 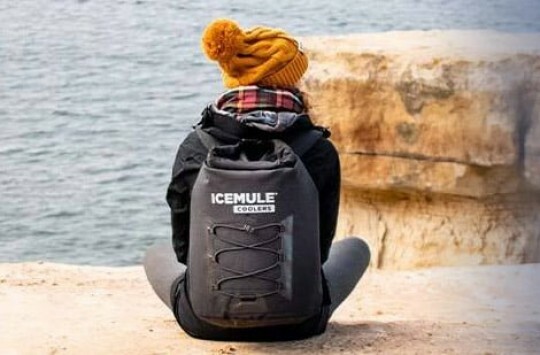 If this is the case, then you may want to consider a backpack cooler with a bit more padding when it comes to straps, something perhaps along the lines of the OAGear Cooler Sports Pack mentioned here. Are you likely to be taking a case of cans with you or tons of food? If you will be, then another thing you need to keep in mind is a cooler that evenly distributes the weight. A heavy backpack can be horrible for the person wearing it, which is why weight distribution should be one of your concerns. One user mentioned the weight distribution benefits found in the OAGear Cooler Sports Pack, which is another reason you may want to give it a closer look. Do you need to carry items for one person or several? Do you need to carry just a few items or a lot? If you are just looking out for yourself, then picking up a backpack cooler like the Turismo should suit you just fine. If you need to carry things for others, then you may want to give another pack a try. Will you just be replacing your lunch cooler? Will you be using this best backpack cooler on your next fishing trip? Do you just need to keep food items cold on a day trip? For more general tips go and check our Best Ice Chest Reviews & Guide. Once you decide on what you will be using the cooler for, then you can better decide which one will best suit your needs. We have taken a look at the top coolers on the market, and have given a closer look at a wide variety of ones, as we know your individual needs will vary. Apart from price, be sure to take a look at extra pockets you may need, time spent carrying the cooler (comfort level), the amount of items you will need to carry (weight distribution), how many people you need to accommodate and what you will be using it for. Once you can determine the things listed above, you can then pick out the best backpack cooler for your needs. 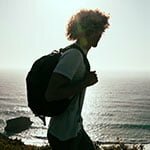 We believe that once you take a look at the best backpack cooler reviews we have listed above, that you’ll surely find one to suit your needs. 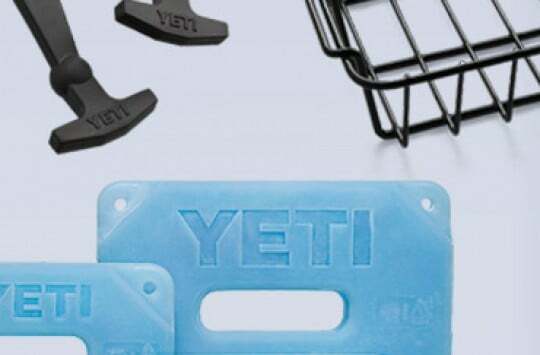 Best Cooler Accessories To Make Your Ice Chest Look…Cooler!